Any one familiar with our 5 Ways to Manage Your Campaign or JADE's Arachnophobia Campaign will recognize the above image. 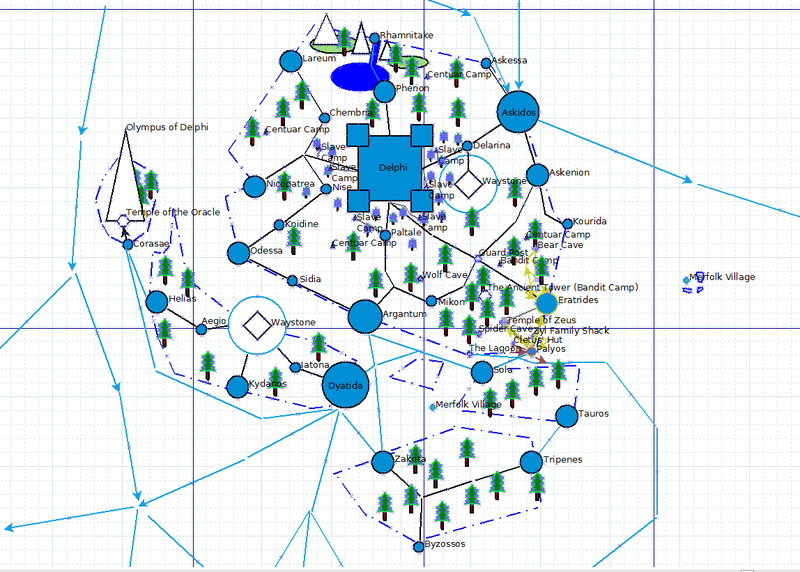 It is part of the map that I created in a program called Dia and one of the tools I use to track the progress and position of my player party in game. Dia is web mapping, and drawing software. It is great for bubbling mapping out your story, or as I have used it to create simple maps interactive "live maps" And the best part is that it is free! Dia only saves in an editable format. 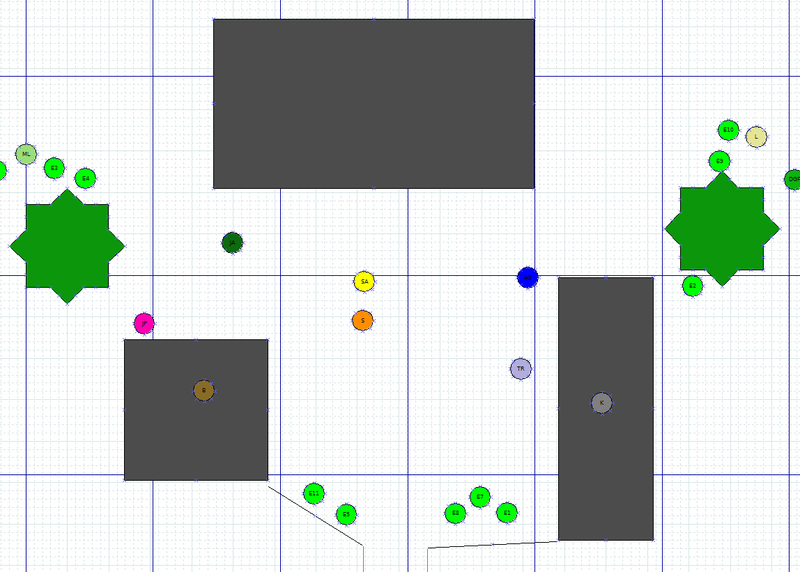 So all of those objects in that image are movable sizable, etc. etc. Making it the perfect interactive map. It is also huge. The image above only represents a small portion of a country I call the Graylands. However zoom out and you can see more. So here is an image of the entire Graylands. The image at the top is roughly in the center of that blue mass. Which is impressive enough as it is... But we can keep going. This is my entire world (more or less) completely zoomed out... Which my computer absolutely hates and just slows right down so I don't normally work at this level. However, for reference the image at the top of the article is in the middle of the blue mass at the top left the image above. To my rough idea of a scale, it is around 5000 miles from the top to the bottom. 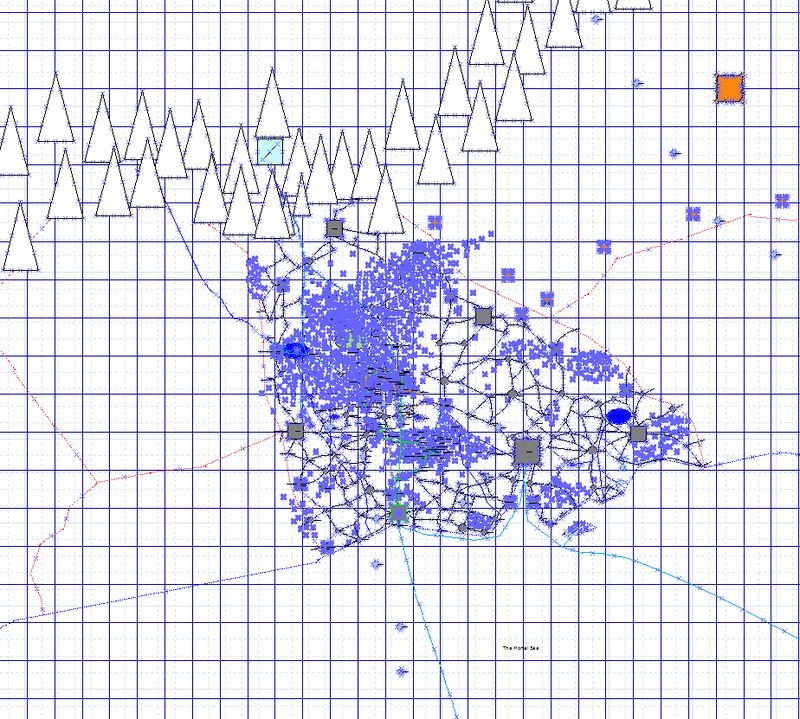 The blue areas represent dense collections of objects, and ultimately the places that I have fully populated. I currently have no fewer than 5 campaigns happening in this world, each in their own location and tracking their progress on a game by game basis using different coloured lines. I have had people tell me I should export this map out into something more attractive. 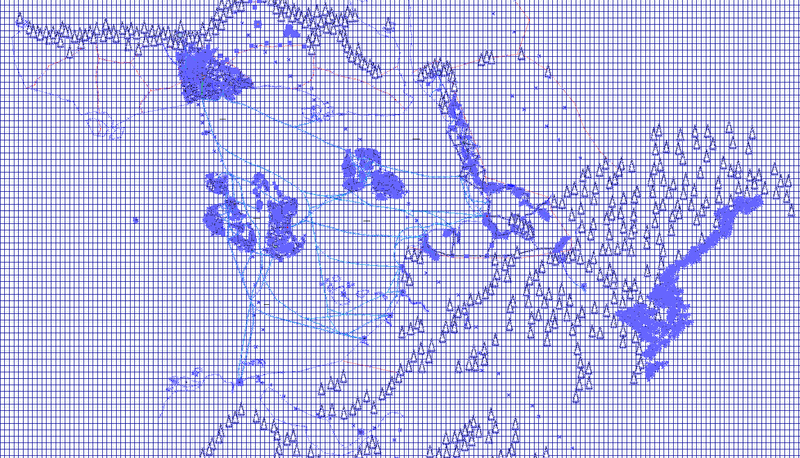 But aside form the fact that the image prints out to a 20gb PNG file that is roughly 20ftx20ft in area, I have never found any software that actually let's me manage my map live, and at such scale. And that isn't the only thing we use Dia for in game. In our last game of Arachnophobia, we played it remotely over Discord and And I set up a battle using Dia. Each player had their own coloured cicrle, the Gray are buildings and we even were able to through down some AOE spell effects (the green stars are Entangle spells). It worked brilliantly and as the DM it only took me about 10 minutes to setup! Now everything being said, there is one elephant in the room here. Dia is not designed to do what I am doing with it. I have been working on my world map for two and a half years and have spent countless hours creating each line of coast, each road, forest, village, city, encampment etc. etc. I honestly started off with a just simple map connecting all the towns the players were travelling through. Each town was a circle with a name connected by a line showing the road. And as the game grew so did the map. A forest here, a bandit camp there, and then one day I just decided to sit down and map out as much as I could. It has taken me ages to get this map into the state that it is in, and so taking up this sort challenge is not for the faint of heart. But all in all. 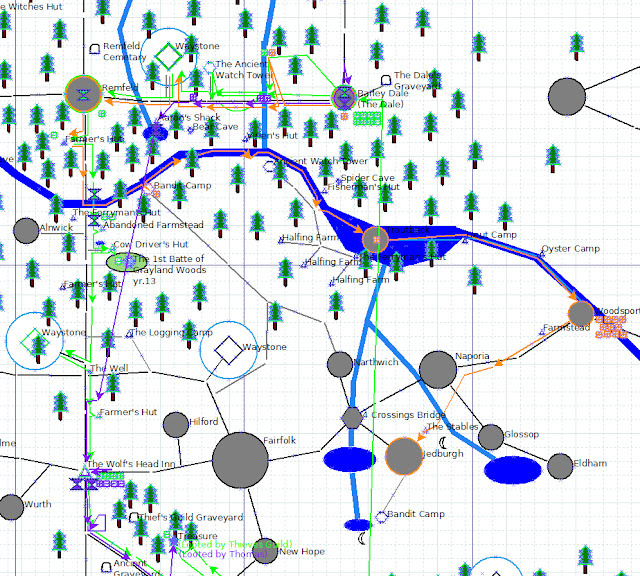 These days I couldn't imagine hosting a D&D game without using Dia to map out something.